Here’s a collection of the most-viewed articles in ROTI history. Some were breaking stories that we violently tackled to the turf…others simply contained lots of pictures of pretty ladies. 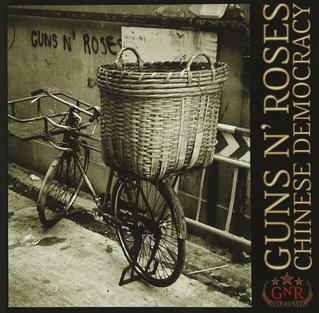 China v. Axl: An AP report explains that China is none too pleased by the new GNR album (which pretty much blows). State media are ripping into Axl’s opus, without actually mentioning its name or any of the offending lyrics. Meanwhile, Bjork’s misbehavior causes headaches for Harry Connick Jr.
Don’t Befriend a Chimp Lover: The frankly horrifying tale of a woman who kept a chimpanzee for a pet, drugged it to keep it docile, and slept with it at night. Then one day, it ate her friend’s face. “Gossip Girl” is Secretly a Total Failure: This examination of the disparity between the publicity for the television show “Gossip Girl” and its dismal ratings is the single most popular article in the history of ROTI. Thanks, AOL Image Search! Lego Lockdown! One of the most valuable LEGO pieces ever — a gold C3PO — and a safe made out of LEGO that you can hide him in. NYU Protestors Are Completely Embarrassing Themselves: An NYU student group called “Take Back NYU!” or TBNYU! has “seized control” of a campus student center cafeteria in an attempt to copy students from the New School SEIZE THE DAY and protest some heinous injustices! But not before making complete and total asses of themselves. “The Real Telly Tubbies”: Meet the Chawner clan, the UK’s most grotesque reality TV family. This article proves that the United States has hardly cornered the market on obesity, indolence, celebutard culture or the joy of mocking losers. Yes, Virginia, There Is A Hot Wheels Fetish: He told police he had a Hot Wheels collection, said Shawnee Capt. Bill Hisle. “He seemed to be excited by the toys for some reason.” This article has generated a lot of traffic from password-only Hot Wheels forums, which is sort of frightening if you think about it in conjunction with this story.